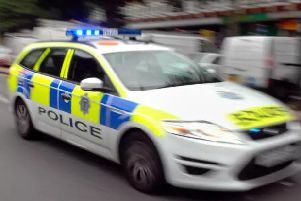 A man was injured in one of multiple crashes on the M69 causing long delays this afternoon (Wednesday, May 17). Emergency services were called to the southbound carriageway of the motorway after a collision between a lorry and a car close to the M6 junction at around 2pm. Initially three lanes were shut before going down to one, but there were long delays for motorists and police advised people to avoid the area. “Police would advise motorists to avoid M69 Jct 1 to A46 southbound. Only one lane open following a collision,” Warwickshire Police tweeted. Warwickshire Police’s operational patrol unit tweeted saying there were multiple crashes thanks to vehicles aquaplaning due to the rain. Another crash was reported at around 2.45pm between the Walsgrave Triangle and Hinckley. Emily tweeted again saying some motorists were ignoring the lane closure signs and blocking ambulances from getting to the incident.